Since Will Smith ducked out of the DC Suicide Squad franchise, someone else is thinking about stepping up to play Deadshot. In case you missed it, it was announced Smith would be leaving the Suicide Squad mash-up of underdeveloped characters last week. There’s been a bit of Hollywood speculation as to whether Warner Bros. would recast Deadshot or simply wipe out the assassin from the script. At the time, sources told Variety executives had to decide whether they wanted to recast the role or replace Deadshot with an entirely different character from the DC universe to join the team for the sequel. Now, it seems they’ve made their choice. 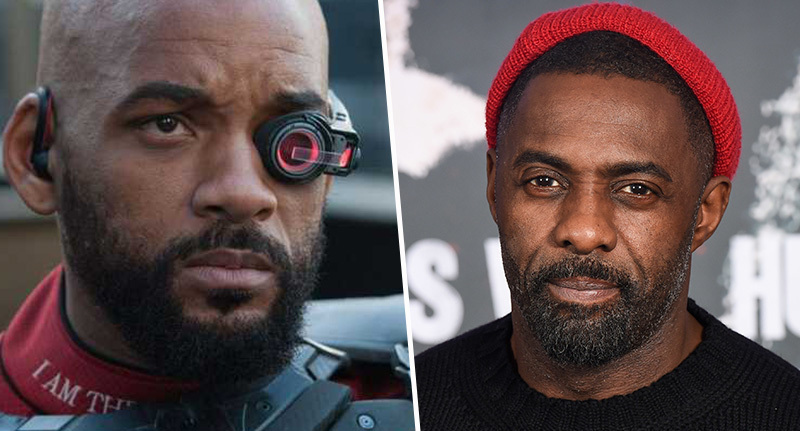 According to a new Variety report, Britain’s own Idris Elba is in talks to replace Smith for The Suicide Squad. The 46-year-old actor, often championed by the public to play James Bond, had a meeting with writer and director James Gunn last week. You might recall Gunn was tapped to write and direct the film after being dropped from the helm of his long-term Marvel franchise Guardians of the Galaxy, after old offensive tweets made in jest were spotlighted by the alt-right who’d targeted Gunn for his public anti-Trump stance. Trolling aside, apparently, the meeting between Elba and Gunn turned out very well and talks with the studio began in earnest. Looks like Warner Bros. has moved on from Smith pretty quickly after this speedy rebound in the development in replacing Deadshot for the upcoming film. The reason for Smith’s departure is reportedly due to scheduling conflicts, as the film is slated to head into production this fall, though it wasn’t specified what project the actor could possibly be filming at that time. It’s thought Margot Robbie will be returning to play Harley Quinn, even after the Tinsel Town rumour mill speculated the Australian actor wouldn’t come back to the film, which was critically panned. However, the original Suicide Squad became a massive box office sensation when it hit theaters in 2016, grossing $746 million worldwide – despite Cara Delevigne’s wooden performance. Shrewd moves from Elba and the rest of the gang, then. The Luther actor is also starring in the upcoming Netflix series Turn Up Charlie which will air in spring. He’ll also appear on the big screen for The Fast and the Furious spin-off Hobbs and Shaw, alongside Dwayne Johnson and Jason Statham, as well as Universal and Tom Hooper’s Cats adaptation with Taylor Swift, James Corden, and Jennifer Hudson. The Suicide Squad is currently scheduled to premiere in theaters on August 6, 2021.